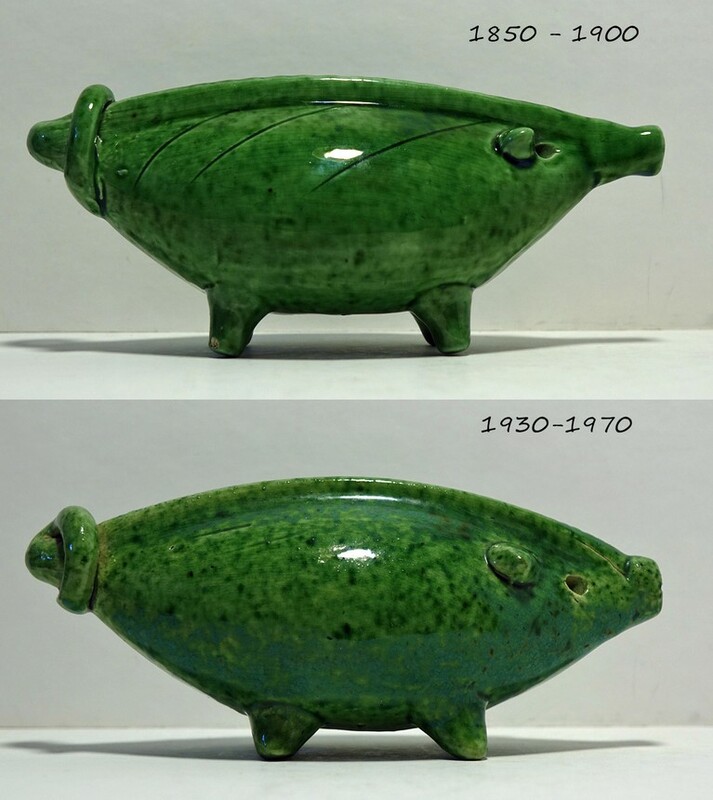 On July 5th I bought a green piggy bank at the antiques market in Apeldoorn. With a broken earpiece. Normally I would leave it, but it was antique. Due to the pricing (€ 8.50) the seller did not notice this. And why would you make a professional seller wiser? Not on a market. There you also haggle about the price and the piggy bank (15.5 cm long) went home for € 6.50. The pig comes from the period 1850-1900 and is recognizable by the long nose. The difference with a more modern variant is clearly visible on the photo.